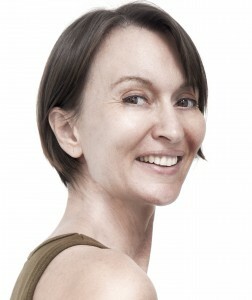 When I was first diagnosed, I searched for recipes and found Shirley’s blog, Gluten Free Easily. Something about her posts made her seem friendly so, when I wanted to create my own blog, she was one of the first people I contacted and asked to be part of it. The second post on my blog is an itnerview with Shirley and a review of her Magic Oat Bars so I’m no stranger to her recipes. I’ve made those bars several times and they always make my sweets loving husband happy. When she posted her Black Magic Bars last summer, I made them that day, substituting pecans for the black walnuts she’d used. Once again, I knew my husband would love them and he did. Shirley’s type of cooking, what she calls GFE, is based on naturally gluten-free foods but she mixes in some mainstream products that happen to be gluten-free and some, but not too many, of the pricier gluten-free specialty products. Her attitude is always down to earth and she makes you feel like you’ve found a friend when you spend time reading her posts. For the adoption, I made her Big and Rich Brownies. They’ve been on my must-try list for a long time. They not only sound good but every time I go through her list of recipes, the name jumps from the page for an unusual reason. 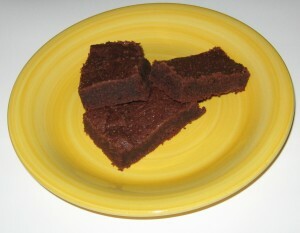 * I made the recipe with Better Batter and the result is a dense, chocolatey brownie which received husband approval. Spend some time on Shirley’s blog and try a recipe or two. I think you’ll be glad you did. *When I first moved to Nashville, Music City U.S.A., I worked publicity for a concert. It was pro bono so don’t get visions of grandeur I’m a writer so becoming a publicist and setting up radio interviews for performers was new to me. I had to learn the difference between an in-studio and a phoner. (It seems obvious as I write this but an in-studio is an interview in the studio and a phoner’s on the phone.) I didn’t know much about country music but had to get up to speed quickly. The host of this concert for charity was Big Kenny Alphin of the popular country music group Big and Rich. Hense the connection with Shirley’s brownies. (I’ll have a name dropper moment here with some of the other performers for the concert – Keith Urban, Faith Hill, Dierks Bentley, Brad Arnold of 3 Doors Down.) I had my music moment with this concert and decided that was enough. Here’s a photo from the concert’s press conference – left to right – two of the lost boys of Sudan, Big Kenny and his wife. While the name of this cookbook – “Healing Foods” – might conjure up images of boring, tasteless, but oh, so healthy food, nothing could be further from the truth. Sandra has managed to infuse flavor into everything from beverages including Raspberry Cordial and Chai Tea to sauces both sweet and savory – Caesar Dressing and Honey Caramel Sauce. Her strawberry jam is wonderful – see the recipe below. Not only do the recipes sound good, but the book is filled with beautiful photos that make you want to cook her recipes. Sandra’s tastes are obviously international and perhaps more gourmet than some cookbooks with recipes that include Mini Chicken Satays with Peanut Sauce, Lamb Koftas and Fish Dumplings with Green Chili Sambal. There are also everyday recipes like her Cheddar Crackers which are very popular among reviewers. In many gluten-free or grain-free cookbooks, the dessert section is larger than the others. I find it refreshing that Sandra filled her cookbook instead with main courses, interesting condiments, breakfasts, beverages, and, of course, some desserts, breads, cakes, and cookies (biscuits in the cookbook as it is in Australia). Quite a few of the recipes contain dairy but would probably work with substitutes (but I have not tried that). This is a cookbook from Australia but Sandra gives both metric and cup/teaspoon measurements for most items. For Americans, we’ll have slight mental adjustments to make for differences such as vanilla extract being called vanilla essence. There’s also the occasional item to look up like Lebanese cucumber – an American’s best substitute seems to be an English cucumber – and Swede which is the rutabaga. My philosophy for writing Healing Foods, Cooking for Celiacs, Colitis, Crohn’s and IBS was to provide IBD sufferers with recipes that would make it easy, yet exciting to eat the Specific Carbohydrate Diet. They are generally all the comfort foods I was used to, just redesigned to fit in with the diet. I am still eating the SCD way, firstly because I really don’t miss refined and processed foods at all. I did for a little while re-introduce some gluten free foods such as rice and gluten free breads back into my diet, but found that I was getting quite congested and developed asthma and chronic rhinitis. As soon as I went back onto the SCD I was fine. I am now feeling quite excited again to develop some more great recipes, but am not looking at publishing another book. Instead I am developing my blog which incorporates some great new recipes. You do have to love cooking to make eating the SCD a great experience, as this is the only way to get some great variety of yummy foods, because when eating out one is generally restricted to eating simple foods, such as a fillet of grilled fish with salad, or a plain steak with non starchy vegetable. My favourite trick is to take along homemade dijonnaise or BBQ sauce in a small plastic container to make my plain steak or fish more exciting. And, I also take biscuits [note to Americans - cookies], so that I don’t have to feel deprived of dessert. 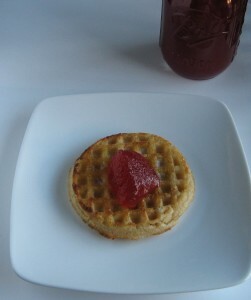 The jelly made from the recipe below reminds me somewhat of the strawberry freezer jam that my mom made growing up. Instead of pectin, this uses gelatin and creates a quick and fairly easy jelly. My husband enjoyed it on his gluten-free waffle for breakfast. The 100 ml of water, the last ingredient listed, equals just over 1/3 cup. Place the strawberries, water, lemon juice, and honey into a medium saucepan. Bring to boil, then cover and simmer for 20 minutes. Remove from heat and strain through a sieve, gently squeezing out as much juice as possible. Dissolve the gelatin in 100 ml of warm water and stir into the hot juice. Pour into a glass, tighten lid and refrigerate overnight to set. Serve with toasted white bread or on our pancakes. Permission granted to post this recipe by Sandra Ramacher. The giveaway is now closed. The winners are Cathy, Carol and Anna. Thank you all for entering! Bob’s Red Mill will send three winners one 14-ounce package of hazelnut flour. To enter, please comment telling me what you’d like to try making with hazelnut flour - cookies, muffins, something savory like a coating for chicken breasts (might have to try that myself), or perhaps some sweet little mini muffins. For additional entries, subscribe to Enjoying Gluten-Free Life and/or “like” the blog’s Facebook page – or tell me if you already have. Make one comment for each for a total of three comments. The giveaway ends the night of December 14, 2012, midnight Eastern time zone, and is open to those in the United States. Update: A blog software upgrade in December inexplicably deleted all comments that month. Thank you to those who entered. I’m sorry all of those entries vanished in cyber space. Preheat the oven to 350°. Line mini muffin pan with muffin wrappers. Mix flour, baking soda and sea salt in a medium bowl and set aside. In a large bowl, beat the egg, vanilla, banana and coconut oil several minutes, until frothy. Press the remaining liquid out of the pineapple (you want the flavor not the liquid) then add it and 1/3 cup coconut to the liquids. Press the remaining liquid out of the pineapple (you want the flavor not the liquid) then add it and 1/3 cup coconut to the liquids. If using a stand mixer, mix to combine using it. If using a hand mixer, switch to a spoon to stir here and in Step 5. Chop the dates finely so that their sweetness will be evenly spread through the muffins, then add them to the dry mixture. Using clean hands, break up the dates and mix them thoroughly with the flour. Add the dry mixture to the wet and mix just to combine. 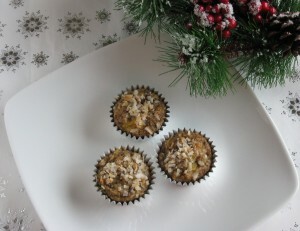 Fill mini muffin cups about ¾ full and sprinkle the remaining three tablespoons of coconut over the tops. Bake about 10 minutes or until a toothpick inserted in the center comes out clean. For those who haven’t heard of it yet, Adopt A Gluten-Free Blogger is a monthly event where bloggers (and others) can adopt a blogger, make a recipe or two then share about it. This month, Kate at Eat Recycle Repeat is hosting. It’s fun and I encourage you to join in next month when it will most likely be back with the founder Sea at Book of Yum who’s been working on her disseration in Japan but should be home soon. I enjoyed searching through her recipes, choosing her Coconut Peanut Butter Balls. She uses Tropical Traditions Coconut Cream Concentrate in them. Since I’d recently bought some that had gone unused, the decision was easy. The recipe works - but my time with it was a comedy of errors. It calls for “nut butter” with a suggestion of peanut or almond butter. I made it first with almond butter but the kind I had on had was very dense, not creamy, so it didn’t glue together well. I didn’t have peanut butter so I went with the other nut butter I did have, cashew. I can eat this right out of the jar with a spoon but, to me, it doesn’t translate well to making goodies. It’s fairly bland compared to either peanut or almond butter so the cookies needed something. I added vanilla but then it tasted too much like vanilla. So I added cinnamon. They were OK. Then I put them in the fridge and they got fun. They almost melt when you eat them. So the end result is that I will make them with a creamy almond butter next time. My husband’s such a coconut fan that I believe there will be a next time. And I saved the mixture from the first batch to mix in with some cookies where it will give them a great taste. Enjoy. For anyone who is interested in this diet, or has simply found that the gluten-free diet didn’t do everything you’d hoped, Starlene has a lot of good information on her site. UPDATE: The first batch didn’t last long. I’m making a second batch today. It turned out that the perfect snack included one of these (cashew butter and all) along with one of my Super Simple Cashew Butter Date Balls. I smear some coconut oil on these because I’m trying to gain weight. I’ve made no secret of the fact that I love apples in the fall. But squash is everywhere right now. I wondered about combining the two. Turns out it was a good idea. Even my husband, who doesn’t like winter squash, liked this. It could convert someone in your home into enjoying this great seasonal and inexpensive vegetable. The dish is savory – I resisted the urge to add cinnamon – but still sweet because of the apple. I thought about adding onion but really wanted to hold onto the sweetness. Choose an apple like the gala I used, one that’s crisp and not too tart. Butternut squash is easy to work with. Peeling it isn’t my favorite thing to do but it doesn’t take long. (Remember to keep your fingers out of the knife’s way. Please.) 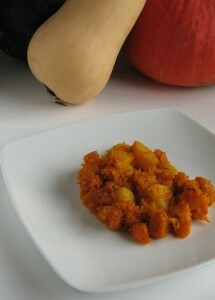 About half of an average sized squash gave me the three cups of cubes I needed for this recipe. The recipe could easily be doubled if you’re serving more than four. I think this would be perfect alongside a pork roast. I have one thawing in the fridge now so I’ll have to check that out For GAPS, substitute ghee or coconut oil for the olive oil. Drizzle olive oil to a large frying pan, about two tablespoons, and heat on medium low. Add squash cubes and saute, stirring frequently, for about 5 minutes. If it starts to stick, add more oil. If it starts browning too much, turn the heat down slightly. Add the cubed apples and continue cooking, stirring often, for about 10 minutes more. You want the mixture to become golden. Check the squash’s doneness at this point by sticking the tip of a knife into a cube or two. If there’s resistance then it won’t be tender to eat. (Different pans and stoves can give different cooking times.) Add about 1/4 cup of water to the pan, cover it and continue cooking for another five minutes when it should be done. Make sure to check occasionally so the pan doesn’t run out of water and burn. Every week I’m going to have Cheerful Wednesday. You’ll find an upbeat post, a fun and/or simple recipe, or just good news about eating gluten or grain-free. 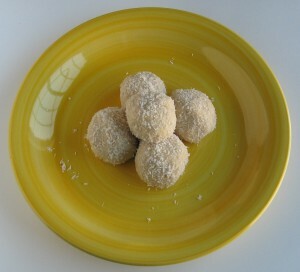 On this first Cheerful Wednesday I have a Super Simple Date Cashew Butter Ball recipe for you that has three ingredients – yes, just three – and won’t take long but, well, my mouth starts watering when I think about eating more of these. Recipes for date balls are out there but this one’s a bit different. I didn’t add any sweeteners, did add cashew butter and it gives a creamy texture along with a bit of protein, and cinnamon for some spice. I’m sure other nut or seed butters would work but I like cashew butter because it’s very creamy and fairly neutral in flavor. I made a variety of versions with just coconut and pecans. Mix it up with your favorite dried fruits and nuts or seeds. The combinations are endless. Try adding dried apricots and rolling it in crushed sunflower seeds. Or add raisins and roll it in crushed cashews. My favorite’s the version with coconut inside and out. My husband’s is the one with the works: filled with pecans and rolled in both pecans and coconut. Give this a try the next time you’d like something sweet. Measure one cup of whole dates, pit then cut in chunks. (I used medjool dates.) Add dates, cashew butter and cinnamon to the food processor and process until it’s smooth. Mine formed a ball (see photo below) and I knew it was done. To add shredded coconut, about 3 Tablespoons for the whole batch would work, put it in now and pulse just until combined. About the same amount of 3 Tablespoons chopped raw or toasted nuts would be good but for them, remove the date mixture from the processor and work the nuts in my hand. Roll into balls about the size of a walnut then roll in the toppings of your choice. Store at room temperature; they aren’t as good cold from the fridge. Many worry that they can’t find the exact recipe they want or need. It may be that just finding a recipe that’s similar to what you need can work. Or simply find inspiration from another source and go from there. Ideas for recipes can come from many directions. Sometimes, as with this Simple Summer Fruit Crisp, another recipe gives a hint of what it could become. This dessert was inspired by a Taste of Home magazine nectarine plum crisp that made me think about nectarines in crisps. 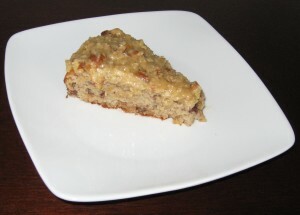 With this Almond Flour Butter Pecan Cake with Coconut Pecan Frosting, the idea came from a frosting recipe that was filled with things I couldn’t eat. But it inspired a delicious frosting and the cake I chose to put it on. Sometimes it’s just an ingredient in the fridge that dictates what to make as it was with my Carrot Apple Raisin Salad. The combination sounded good and I had every ingredient. Tonight, we had the Tropical Chicken Salad above. Inspiration for this recipe came from a different source, my mother-in-law. She gave me one of her old cookbooks about a month ago, one she thinks she received as a wedding present. I’d never heard of the Searchlight Recipe Book and you probably haven’t either. That wouldn’t be remarkable except for the fact that with this 1944 edition, the 17th Edition, there had been 1,353,082 printed. Times have changed so some of the recipes such as the Jellied String Bean Salad and the Prune Onion Salad won’t sound good to most of our tastebuds but others sound great and could be used as is or as inspiration for something new. This salad was inspired by a Chicken Apple Salad recipe that also had pineapple in it. The same page also had a Shrimp Pineapple Salad. Between the two of them, I had pineapple on my mind so I came up with the idea of chicken and pineapple along with other tropical flavors. If you adore pineapple, add more. If you prefer more fruit with your salad, please add mango and/or banana. Use this as your inspiration. But I wouldn’t leave off the coconut on top, it totally made this. My mayo is homemade and has some honey in it so you may need a tiny drizzle of honey if yours isn’t at all sweetened. Combine everything except the coconut and lettuce. Scoop onto lettuce. Top with coconut. Enjoy. *To toast coconut, spread the amount you want on a cookie sheet and put in a preheated 350 degree oven for 3-5 minutes. Watch it closely. It should just have a golden tinge and won’t taste good if it gets darker. I was flipping through the Good Housekeeping “Best-Loved Desserts” cookbook and a recipe for Coconut-Pecan Frosting jumped out at me. Sure it had cream (can’t have), butter (can’t have), brown sugar (can’t have), and sweetened coconut (you got it – can’t have) but it got me thinking, what if? Could it work if I left out the cream, used honey instead of brown sugar and unsweetened coconut? Yes! It took a bit of tweaking but the final result spread over a Butter Pecan Cake (it just sounded like a good pairing) was so good that my husband took one bite then came over to give me a big kiss. The cake is a lighter recipe than I use for muffins, much more cake-like. While I suspect that any oil would work in the cake, I used grapeseed oil as I always do when I want a buttery taste with almond flour. If you can use butter, I think it would work well. Preheat the oven to 350 degrees. Oil a 9 inch round pan (I used grapeseed oil), line the bottom with a circle of parchment paper, then oil that. In a large bowl, add the almond flour, baking soda and sea salt, then mix to combine and break up any lumps in the flour. (I used a stand mixer for this recipe.) Add the eggs, honey, vanilla, applesauce** and oil then mix slowly to combine then at medium speed for a couple of minutes. Stir in the pecans then pour into the prepared pan and bake for about 15-17 minutes or until it tests done in the center with a toothpick. Cool for about 10 minutes then run a knife around the edge and turn out onto a cake rack, peel of the paper and let cool. Carefully place the cake on a pretty plate then frost. In a medium saucepan, heat the coconut oil and honey on medium high until it barely begins to boil then remove from the heat. In a bowl, whisk the two egg yolks, then, still whisking add a tablespoon at a time of the hot liquid until you’ve added about 1/2 cup. (This is to “temper” the eggs so they’re the same temperature as the hot mixture and won’t scramble.) Add this mixture to the saucepan, again whisking constantly. (If for some reason, you get a few bits of scrambled eggs, don’t panic. Just pour the mixture through a metal strainer, put it back in the pan and keep going.) Heat on medium about 10 minutes – yes, whisking constantly but not as quickly as before – until it changes from being a fairly clear liquid to a cloudier, whiter liquid, then bubbles and thickens. Remove from the heat and add the coconut, pecans, vanilla and pinch of salt. Let cool for 10-15 minutes then frost the top of the cake. *If you’re starting with raw pecans, as I do, spread them on a cookie sheet and bake at 350 degrees for no more than 5 minutes. These were done in 4 1/2. If you burn them – and that’s easy to do if you walk away (ask me how I know) – they have to be thrown out. Toasted, they’re amazing. If you toast more than you need for the recipe, add them to a salad. Yum. **Recipe for making a small amount of applesauce here. Pumpkin gets a lot of play in the fall but I think my favorite crop of the season is apples. Mixed with another seasonal favorite, carrots, and with a bit of spice, this salad makes me very happy. Growing up, my mom made a carrot and raisin salad that was just carrots and raisins. It was OK but . . . These raisins are plumped in apple cider, adding the first layer of flavor. Next, shredded carrots meet sweet shredded apple. I believe organic carrots actually taste better, they’re also inexpensive and available in a regular grocery store so I never compromise on carrots. The apple needs to be sweet here, something like a golden delicious or gala; this isn’t the time for a Granny Smith. Cinnamon adds spice and a pinch of ginger adds a refreshing warmth in the background, not enough that you know it’s ginger but a nice layer of flavor. This Carrot Apple Raisin Salad is easy, inexpensive and tasty. The recipe makes enough for a 1/2 cup serving for 4 or a larger serving for two. (I ate a “larger serving” It would double easily. I’m giving two versions. It was great both with and without mayo so choose the version that suits you and your family best. In a small pot, bring apple cider and raisins to a boil, add a lid and remove from the heat and let soak for 20 minutes – reserving 1 Tablespoon of the raisin liquid. Version One: Grate carrots and apple, add raisins, 1/4 teaspoon cinnamon and a small pinch of ginger. Stir. Done. Version Two: Grate carrots and apple, add raisins and 1 Tablespoon of the raisin liquid, a scant 1/2 teaspoon of cinnamon, a slightly larger pinch of ginger (this is still a tiny amount of ginger! ), and the mayonnaise, adjusting the amount of mayo to taste. Done. While it’s probably a strange thing to crave, I’d been craving meatballs. I’m on a grain-free diet so making them brings some challenges. I could have used almond flour in them but I’ve been eating so many almond flour baked goods that I wanted to use something else for these. I wondered if shredded zucchini could take the place of flour. Turns out it can. That and one egg held together a pound of hamburger. You can see tiny bits of green so, if you’re cooking for a veggie hater, you might want to peel them and make smaller bits by running a knife through it once it’s shredded. I prefer to bake meatballs over cooking them in a pan – I put them in the oven and they cook themselves. We’d tried spaghetti squash as a substitute for regular pasta in the past and not been overly impressed. This time I made sure it was well cooked so not crunchy and I seasoned it well. Both my husband and I loved it. As to the sauce, I’ve quite frankly always been a fan of jarred spaghetti sauce but can’t have sweeteners other than honey right now and that leaves out every sauce I’ve looked at. I found a brand of Italian tomato sauce and paste that I felt like I could trust for the ingredients. (SCD – their website says no sugar added.) This recipe works well if you’re like me or just want to make it from scratch. If making the sauce, prepare it while the meatballs bake. Combine all ingredients including the 1/4 onion cut it half. It melts into the sauce. Bring the sauce to a boil, reduce to a low simmer and cook for about an hour, adding the meatballs once they’re come out of the oven. Everything needs to cook together for a while so the flavors can meld. The spaghetti squash can be cooked in either a microwave or oven. I’ve cooked mine in the microwave the last couple of times. You cut it in half (carefully), take out the seeds and bake. Here are some directions for cooking spaghetti squash. I do cook mine longer in the microwave than she says to because I’ve learned that for our tastes a fork must easily pierce the skin, not just go in but easily go in. Once it’s cooked, take out the “spaghetti” and pull it apart with a couple of forks. Sprinkle on basil, salt and pepper to taste, and drizzle with olive oil. Then mix together. Thank you for visiting. I've spent many, many hours reading blogs and books about the gluten-free life. I love research. Really love it. I'm a writer so this is part of what makes me tick. But I know not everyone likes it. My goal is to bring this wealth of useful information to you here through interviews with prominent people from the gluten-free community. I hope that each time you visit, you’ll walk away with a little something new, something that helps you enjoy your gluten-free life even more. Disclaimer: I am not a medical professional thus nothing on this blog should be taken as medical advice. Please see your doctor for medical advice. You are responsible for your own health. Any choices of food, drink or other products that you choose for yourself or your family are your responsibility. Note: If you should click on an Amazon link on this site and purchase something, I may receive a small commission.